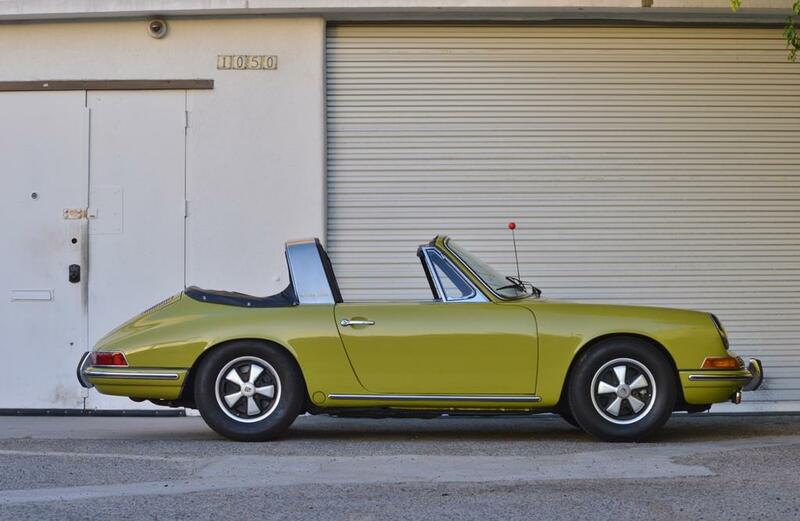 Update 11/13/18: This 912 Soft-window Targa sold for $50,217.99. 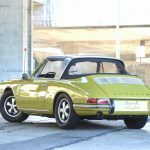 I began my post on a recent 993 Turbo S by stating, “this is everything.” In a very different way my reaction to this Golden Green 1967 Porsche 912 Soft-window Targa is similar. For pure lust the Turbo S certainly wins the day, but some of the allure of that car was in the details and that is where the overlap lies with this 912. There is enough here to pore over that interested parties could spend hours simply looking through these pictures. We’ll begin with the color. Golden Green is not a color I’ve seen before. 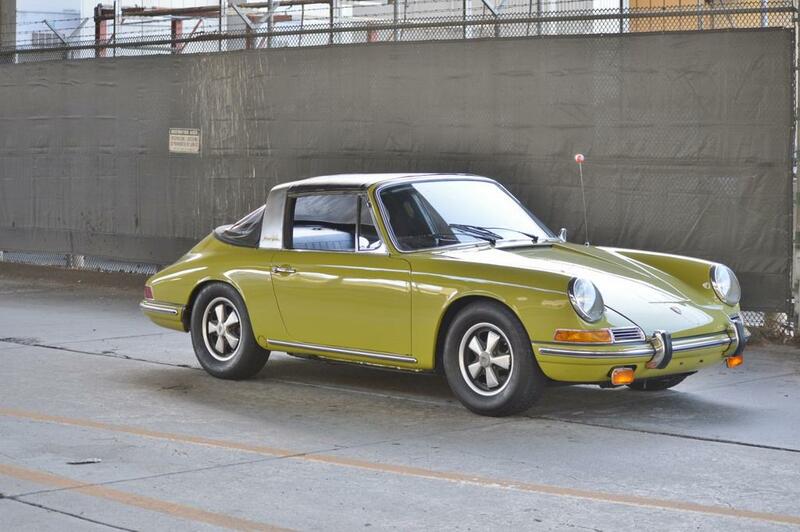 It only was available for a couple years in the ’60s and generally isn’t one that we come across among the many PTS 911s that have been produced since. It is sort of in the vein of LindgrÃ¼n (also called Chartreuse) that was produced in the ’70s though Golden Green doesn’t look as bright to me. As the name suggests it possesses a yellow/gold hue to its non-metallic green. That golden hue allows it to change kind of dramatically from sun to shade. The pictures here do a pretty good job of capturing that transformation. 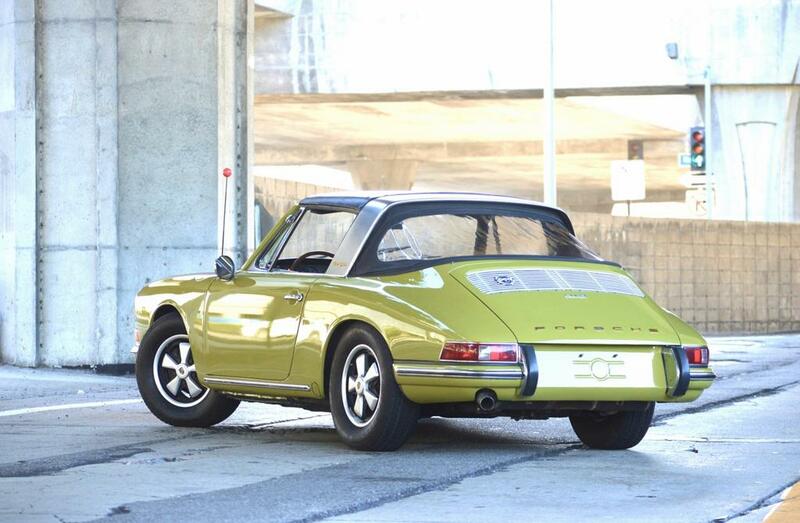 This is said to be the only Soft-window Targa produced in 1967 in this color with only 4 others made in 1968. So it’s very rare. I don’t know how many Coupes might also exist, but as I said this is the first I have seen it so I’m guessing there aren’t many. The other part of this is the Soft-window Targa itself, Porsche’s answer to what they thought would be the death of the open-roofed car. 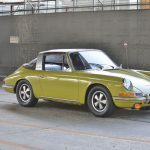 Such tragedies never befell the car industry and the soft rear window eventually was replaced with the glass rear with which we’re all very familiar on 911 Targas even to this day. But the SWT is an interesting design and interesting engineering answer to a potential problem. They make for great historical models and given their short production run are quite rare in themselves. 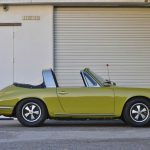 So there’s a good bit going on here and the seller has provided quite a few pictures to document this Targa’s condition. Add to all of that it is up for auction without reserve. Body has been refinished in its correct Golden Green (62165) in single-stage Glasurit paint with matching factory orange peel. Photos show the soft top both mounted and folded under its matching black vinyl cover. The soft window zipper is operable but has some teeth missing and needs care during operation. Black-painted and polished 14â€³ Fuchs have replaced the original chrome ventilated wheels. The bumper overriders have been drilled for AMCO bumper bars, which are included in the sale but not installed. A small chip in the windshield. 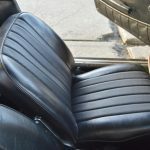 The black vinyl cabin has been reupholstered in the past and retains low-backed bucket seats along with an optional wood-rimmed steering wheel and matching aftermarket shift knob. Instrumentation includes a factory-appearance VDO gauge displaying amperage and oil temperature. The 5-digit odometer shows 67k miles. There is a broken section of the speaker grille as well as the presence of an aftermarket radio. Power is from a numbers-matching 1582cc flat-four equipped with Solex carburetors. Engine stamping 754860 is shown on the case and matches that listed on the Porsche CoA, confirming originality. The 5-speed manual gearbox is also original. Stock motor with no modifications. The front trunk is home to an original-style spare wheel and a battery with an aftermarket kill switch. Previous rust repair included a new rear floor pan, outer rockers along with other repairs to rear suspension area. Solid original front suspension pan. No other known metal work. 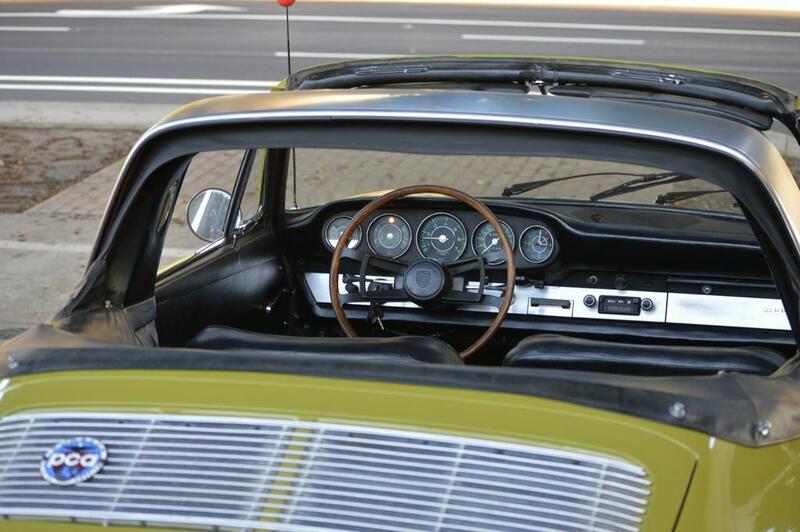 Every panel prior to paint showed original Golden Green underneath and are original to the car. 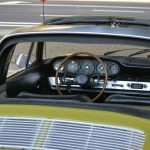 The Porsche Certificate of Authenticity lists the original colors, drivetrain numbers, and options, including the wood steering wheel and bumper overriders. My standard disclaimer/mantra for any car regardless of service or price: The car is sold with no warranty. You are buying a used car. Eventually every car will break, if you find one that doesn’t please let me know. I do my ABSOLUTE BEST to describe accurately the shape of the truck, but keep in mind it is impossible to discuss every detail of a car for better or worse. I am not a dealer, just a guy who loves Porsche (among other cars) and hope to pass along my passion and fervor for these cars. That said if ever you encounter an issue I do my best to provide advice, direction or even parts if I have them. Please understand that it is a used car and will have minor signs of use. That means please do not expect a showroom brand new car. Please adjust your expectation level to that of a car that however is very good condition. This is a nice Porsche of this year, but please just remember that no car is perfect. It is though a clean, very nice Porsche! Please only bid if you intend to buy. If you would like to have an Ebay 3rd party mechanic service check out the car I MORE than welcome it. Please have the car checked out before bidding and not after, if you intend to use that service. And please, if you would like to utilize this service, contact me with more than a couple days left in the auction so we can arrange schedules. Please check your local laws and registration procedures before buying. Buying over the internet can be scary sometimes! I get it, because I am an enthusiast too!! For that very reason, I am more than happy to answer every and any question you may so you know 100% what you are buying. But, please ask any and all questions ahead of purchase! It is impossible to list every pro and con of a car, I am not an inspection service, it is your responsibility as a buyer to do your due diligence and inspect the car. All sales are final, you are buying as-is, the sky is blue, etc, etc. Sorry to have to give the boring speech! I think this ad does a good job of laying out the general state of this car. There’s certainly plenty of questions surrounding its history that we might wish to know, but it might be the case that information isn’t available. The major details seem apparent though. We know that neither the paint nor interior seating is original to the car, though both match the CoA with regard to color and materials. 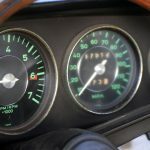 The engine and transmission both are numbers matching and without modifications. We’re also told of some metal work to a few areas of the car for rust repair so we know the rear floor pan and rockers are not original along with areas of the rear suspension. From what we see in the pictures the rest of the car looks ok. 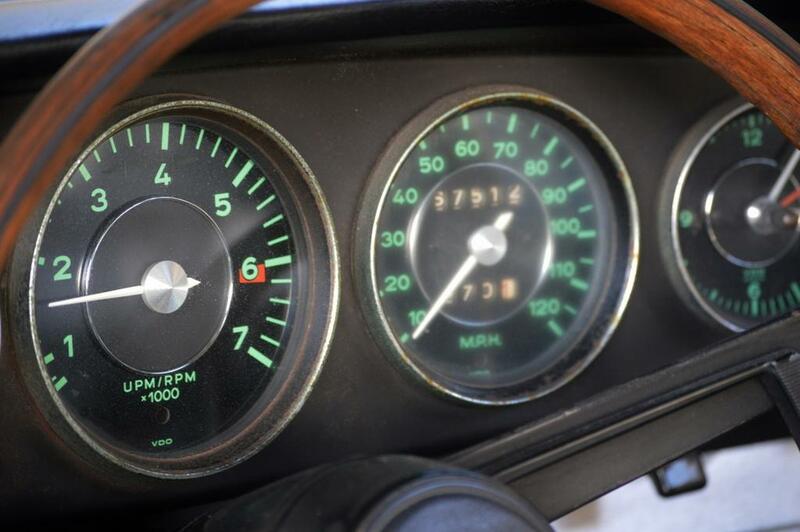 The odometer shows 67K miles, whether that is its true mileage isn’t verified (and might not be able to be verified). 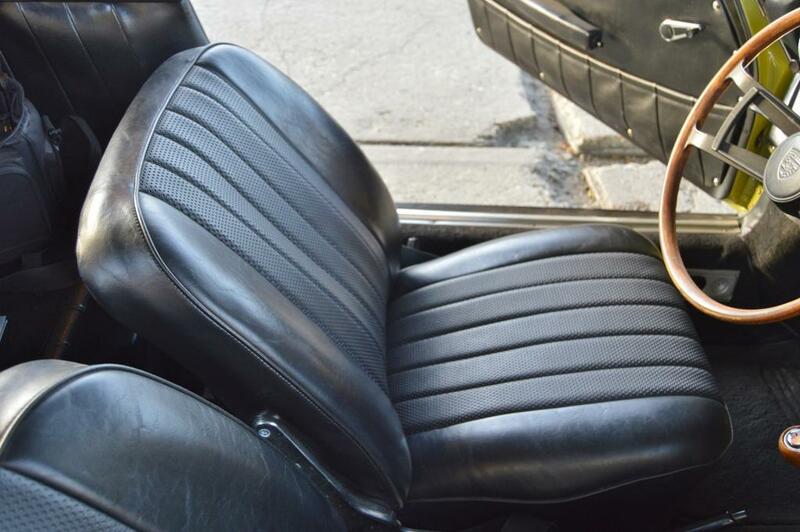 The top is operable, but sounds like it could use some refreshing if you wanted the rear window to work easily and the original wheels appear to no longer be with the car. 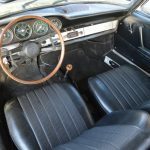 There are a few other details of minor changes that have occurred throughout this 912’s life, but none of those seem terribly significant given the points laid out above. Overall, given its age and that it doesn’t sound like it’s gone through any kind of restoration this 912 doesn’t seem in bad shape. It presents as a well used example, but not one that has been neglected. It’s not going to set any records for value, but would make for a worthwhile addition to any Porschephile’s garage. For me this seems like a car of great character. I’d love to know more about its history just to fill in the details, but sometimes that isn’t possible. It’s just a neat car though. 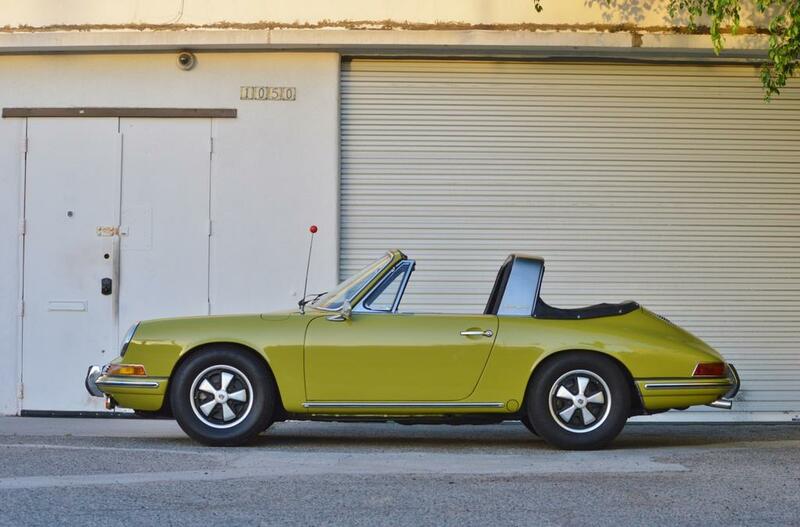 The color is great and I’ve always liked the quirky nature of the Soft-window Targa. This one definitely could use some sprucing up and as a project might be fun given that you’re starting from a reasonable point. Or simply enjoy it as is. I’m sure it’d make a great conversation starter. 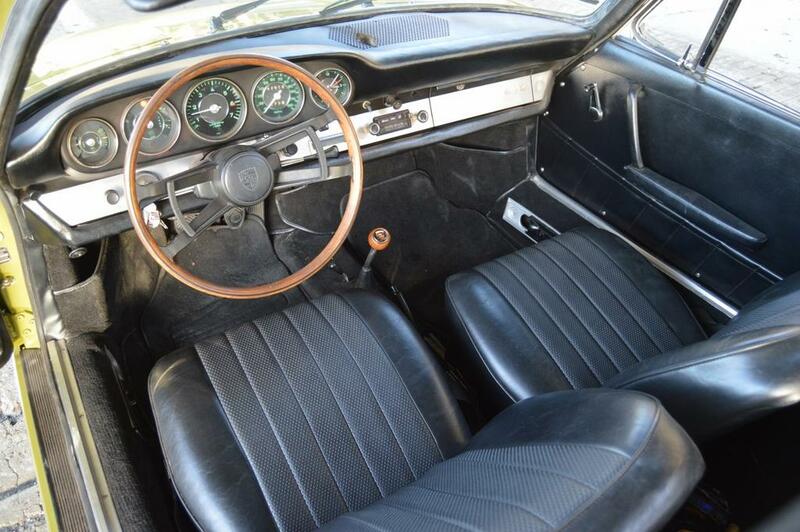 And relative to quite a few other Porsche’s from its time, the final price should be pretty reasonable. 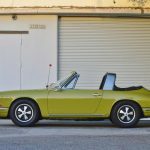 Tagged 1967, 912, air cooled, Porsche, Soft Window Targa. Reserve not met at $51,036 on BAT in June if this year. Interesting. While it wouldn’t totally surprise me to see this auction eclipse that number it’s pretty ballsy to turn that down and then put it up with no reserve on eBay.